In this guest post, Stephanie Rosen, the Accessibility Specialist for the University of Michigan Library, shares her thoughts on the recent removal of 92 documents from the National Park Service’s Climate Friendly Parks Program and responds to the rationale offered by NPS that this was done solely to ensure they meet accessibility requirements. Stylized graphic of large brown bear in tall grass with text, “Please bear with us; we can’t seem to find that page. 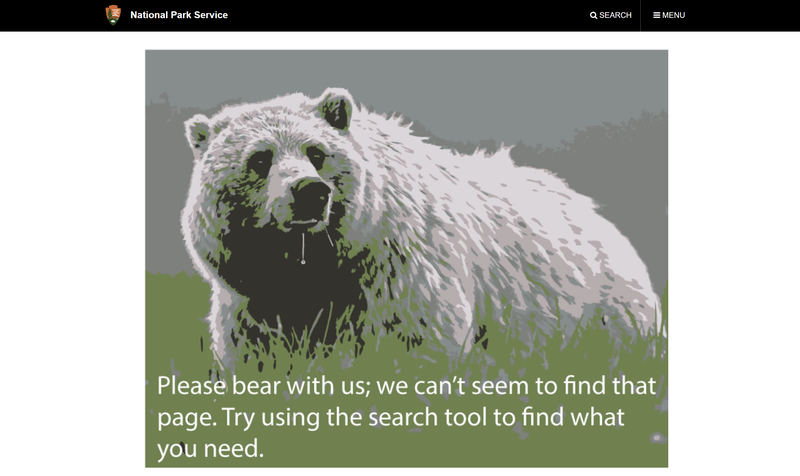 Try using the search tool to find what you need.” This image appears when a National Park Service webpage is not found. “Regarding your recent blog post about the National Park Service (https://envirodatagov.org/climate-action-plans-for-national-parks-removed-from-site/) there is a very simple explanation for why those PDF documents are temporarily unavailable. Are these PDFs actually non-compliant, however? And would this justify removing them without prior explanation? Here are some questions (and answers) we can use to make that determination. In addition, it should be noted that these PDFs are still unavailable except by request, as of February 15, 2018. Does the 508 Refresh require PDFs hosted on government websites to be accessible for the first time? Does the Section 508 Refresh include new or different requirements in terms of defining an “accessible” PDF? Do government agencies have a January 18, 2018 deadline to ensure that all existing content meets the new standards? Were the old PDFs accessible? Not fully. The PDFs did not meet the accessibility requirements of the old Section 508 or the Refresh. They vary in accessibility, but generally need proper tagging, metadata, and textual description of images (and/or an accessible format besides PDF) in order to be fully accessible . Is the government doing the right thing? It is best practice to make information and communication technology as accessible as possible. It is furthermore good practice to admit an imperfect track record on accessibility, do an honest assessment, and get to work towards better accessibility. These PDFs should be improved, with or without the Section 508 Refresh. However, it is not in the interest of accessibility to prohibit access. And it is to the detriment of accessibility to prohibit access in the name of accessibility. New requirements that may apply to PDF documents include sufficient color contrast between text and background, document title, and document language. A sample of the 92 documents were tested for accessibility using Adobe Acrobat Pro Accessibility Checker. Newer documents are generally more accessible (i.e., they include proper tagging, metadata for title and language, tab order, etc.). 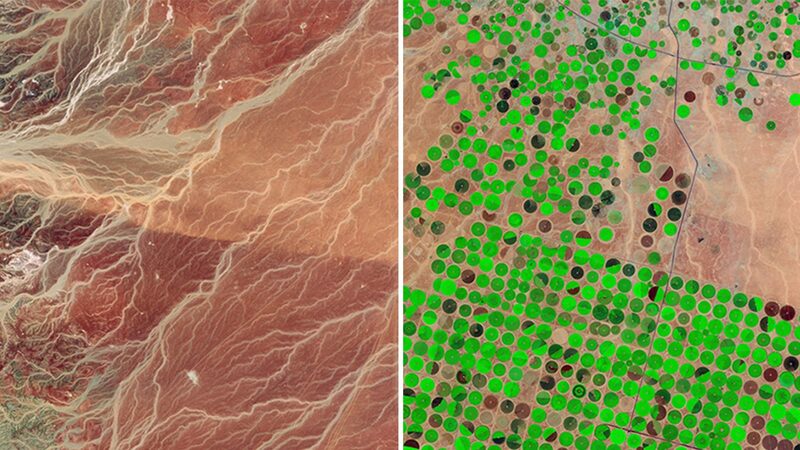 However all documents lack textual description of figures and often include complex figures such as charts and graphs.